Cembroni is a little hamlet that is part of San Cassiano. Take the road from La Villa and follow the signs for San Cassiano. Just before the town you will see the sign for Cembroni on the left. The drive up along the tree lined roads is quite lovely. Cembroni is tiny. 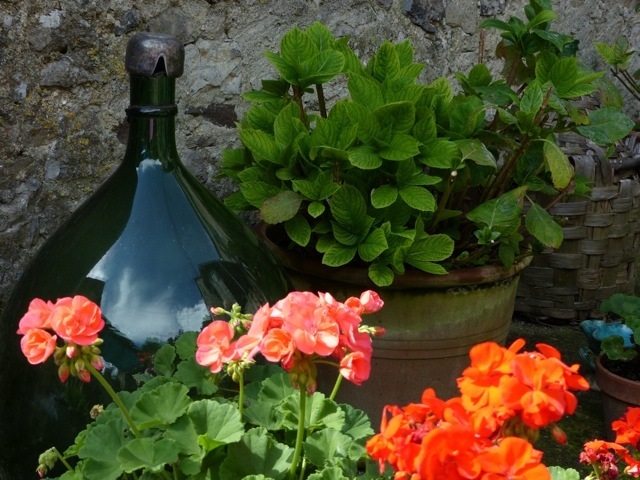 There is a little tangle of narrow steeets, stone houses, leafy lanes and gardens. On a quiet sunny day I met some lazy kitty cats. Instead of the usual green doors, I found mostly brown ones. I did manage to track down a couple of green ones. The last flowers and fruits of summer put on a fine show. I was most impressed by the collection of chimneys and roof tiles. 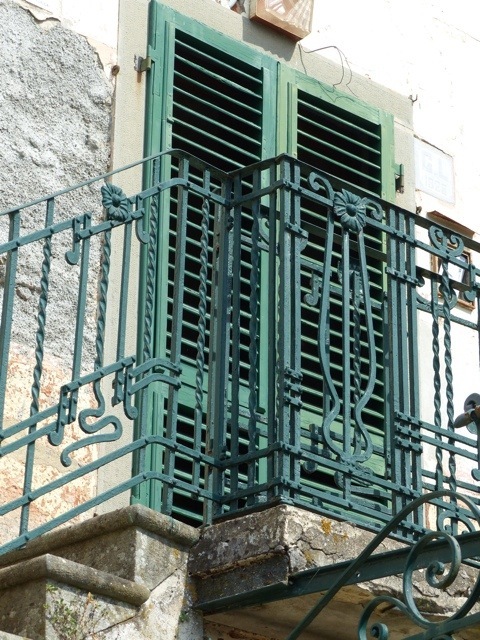 I would like to take this old railing home and install it on my balcony. Of course the views from Cembroni are excellent. Just a handful of families live permanently now in the village. In summer the population swells when ex-residents return to enjoy the peace and quiet in the summer sun. If you are seeking a tranquil refuge from the world, perhaps you should head to Cembroni. This entry was posted in The villages of Bagni di Lucca and tagged Bagni di Lucca, Cembroni, Italy, mountain villages in Tuscany, photography, travel, Tuscany by Debra Kolkka. Bookmark the permalink. Thank you for this lovely post on Cembroni. The photos really capture the views, particularly the one of the view across to Livizzano. 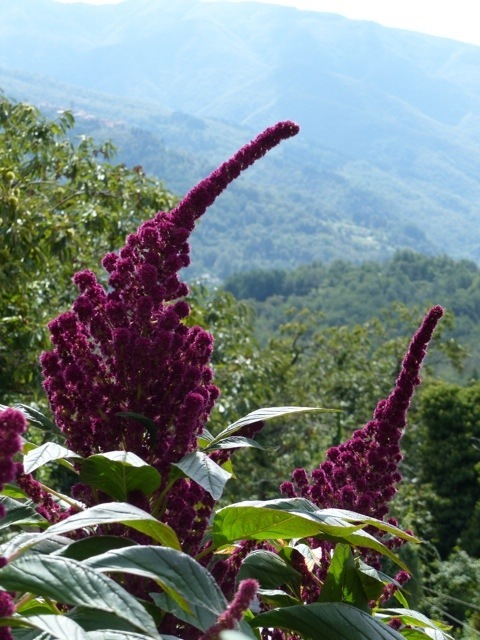 Cembroni is nice and quiet all year round, with easy access by foot to all the delights of San Cassiano. I have been wanting to visit Cembroni for a long time. I am happy I finally got there. 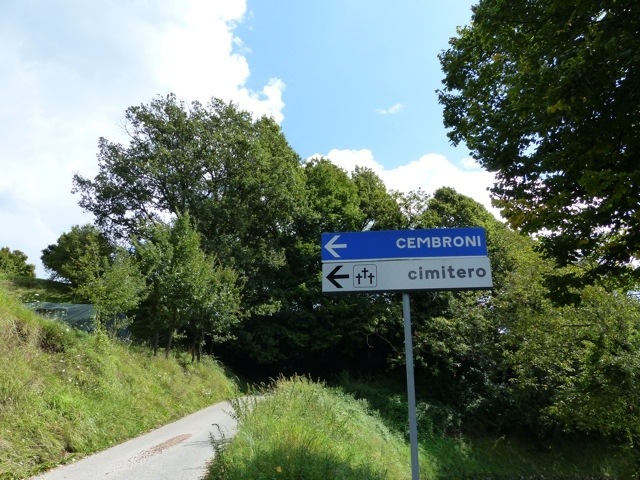 We have been several times in the area, but we have never followed the road to Cembroni. Next time, we will. Thank you for the tip, Deb! All of the villages have something special to offer. Thanks, I love my walks through the mountain villages. Beautiful photos Debra. What a georgous little village! Each village has its own special delights. 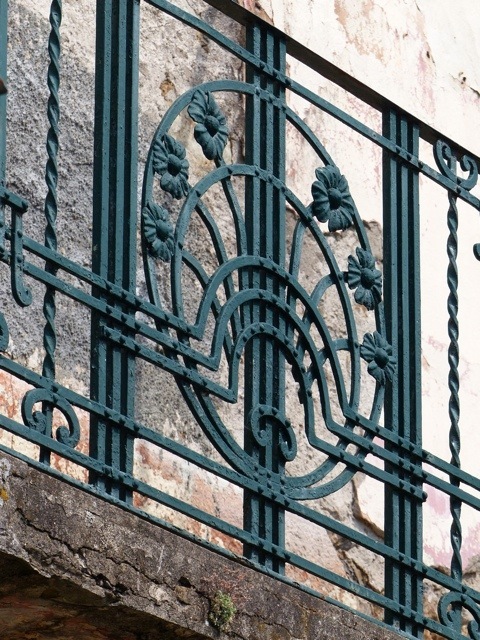 I showed it to the man who renovated my railing and yes, it would have been quite expensive to create. San Cassiano is so beautiful. Mind you, I am not sure how practical it would be to live there in winter. We nearly did. San Cassiano is still close to my heart. You made the right decision and you can always visit San Cassiano. The balcony is nearly finished…hooray.